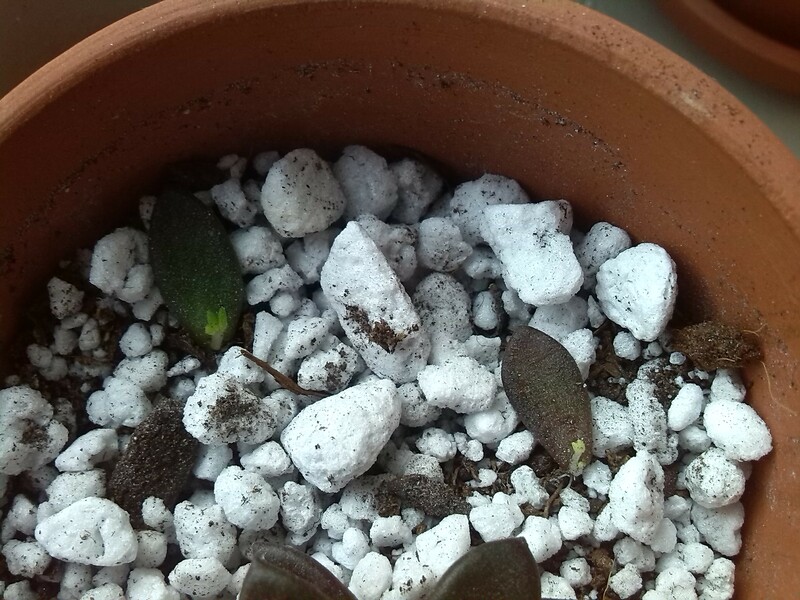 Rooted thanksgiving cactus makes new baby!!! I know I’m probably speaking too soon, but I feel as though I’ve finally mastered the thanksgiving cactus. 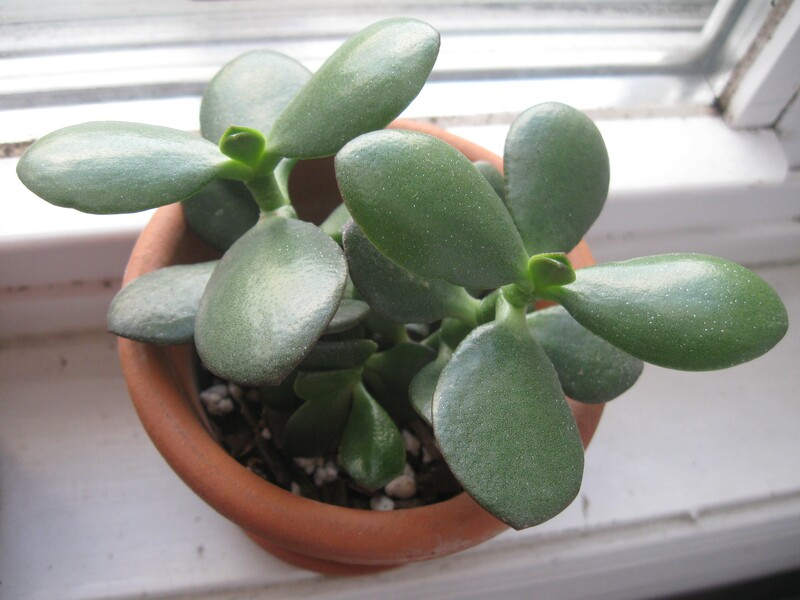 Since learning that soaking once a month, at least during the summer months, will keep the leaves nice a plump, I’ve been feeling pretty confident about my ability to care for them. 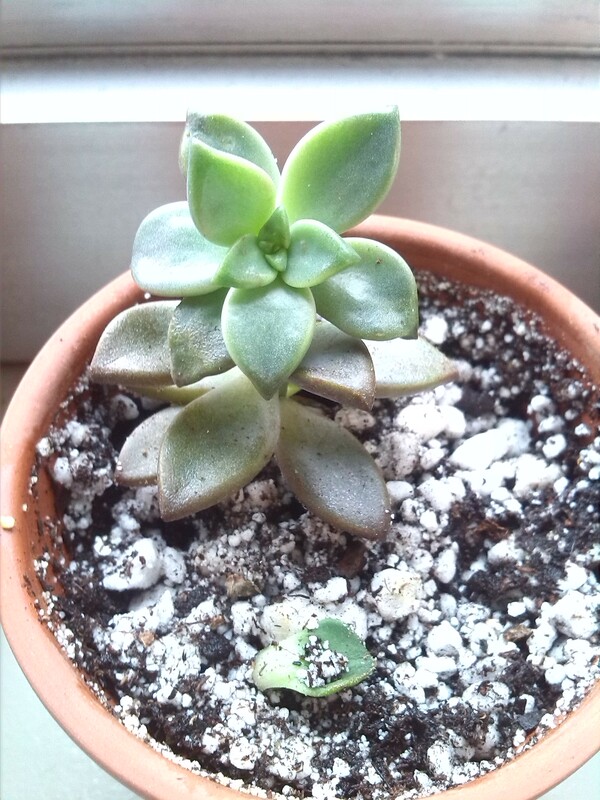 I took two leaves with roots from my plant and planted them, and one is starting to make a new leaf! I’m so excited to see this new leaf growing! 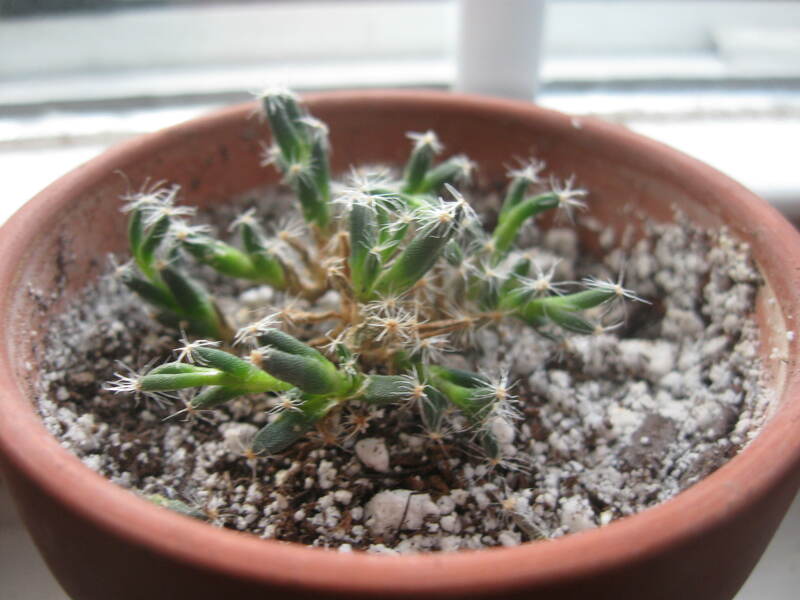 It shares a small pot with a desert rose seedling. 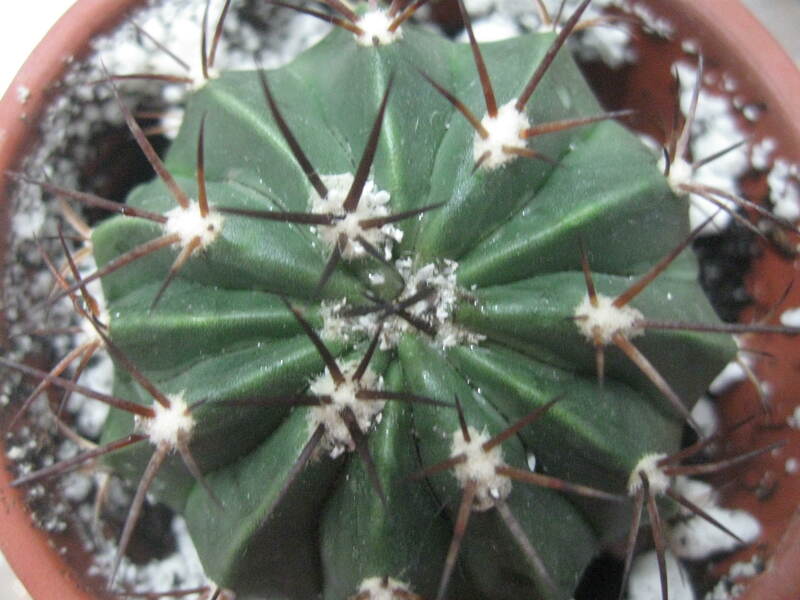 I’ve been spraying the cactus with water every week day and watering the desert rose once a week, so the cactus does get water too. 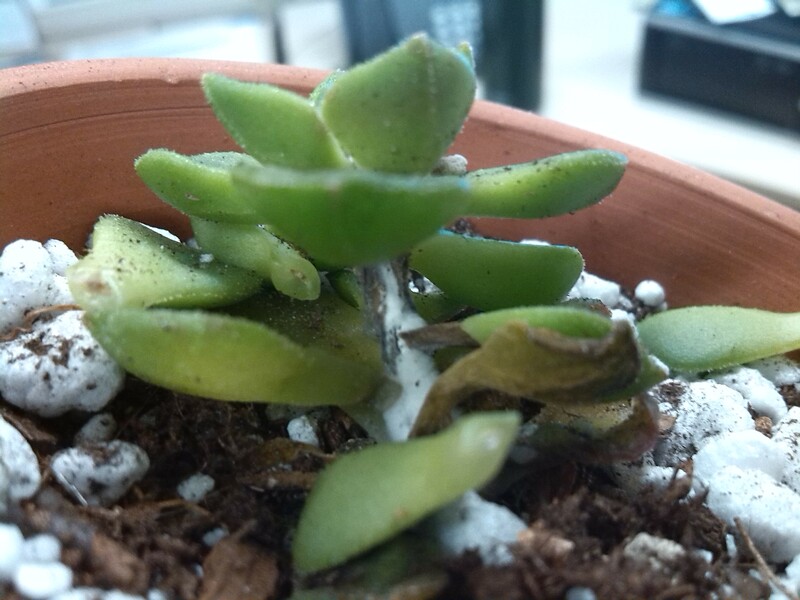 I was worried about the leaf rotting if I watered it, even though it had roots. I remember reading that it’s OK to start watering when a new leaf starts to form so I guess there’s no need to worry anymore. I don’t know what it is about this plant! 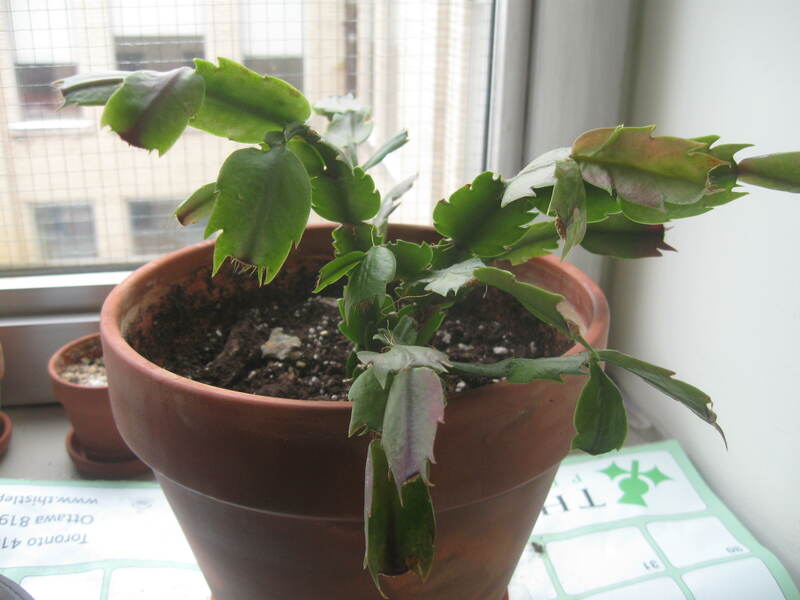 So far, I have not had success with keeping a thanksgiving cactus (schlumbergera) alive, although people say it’s really easy to care for and to propagate. The one I picked up from a colleague who was leaving died this year. 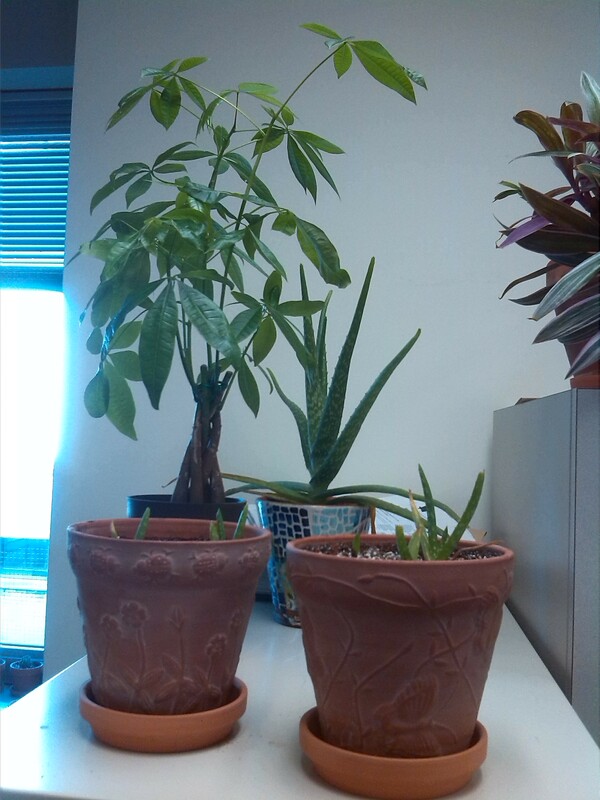 I only water my office plants every two weeks. It was rotting at the bottom which made me think wet roots, but that didn’t fit with how often I was watering and the fact that it was in a clay pot, which dries out the soil faster than other pots. I really thought that after I nearly killed it by forgetting it in a dark cupboard that it wouldn’t make it, but it started to come back to life until it recently rotted at the base. I bought a new plant a few weeks ago. Fresh soil, clean clay pot, watering when the soil is dry… and I’ve lost a bunch of leaves already. 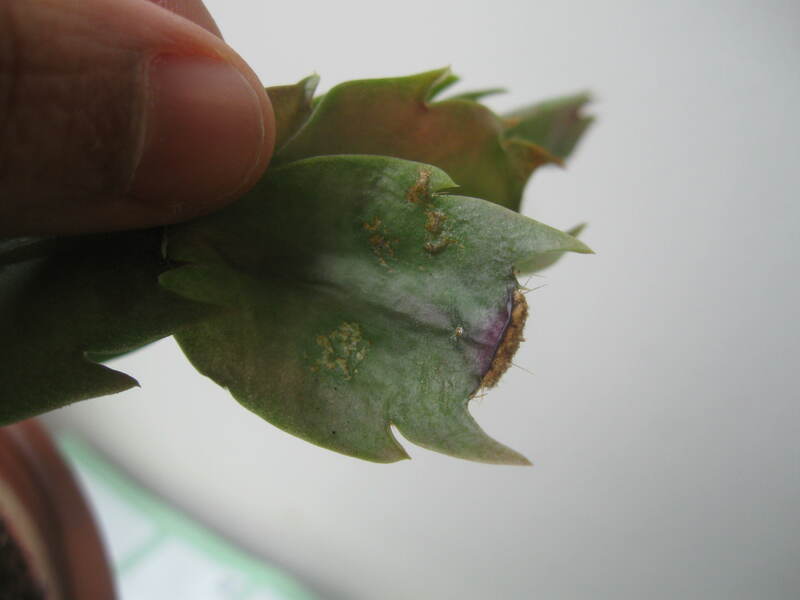 The bottom segment of the plant was rotted. Perhaps there wasn’t good air circulation down there and it stayed wet. This article has some really good information on care, how to produce blooms, and common issues which will definitely come in handy. 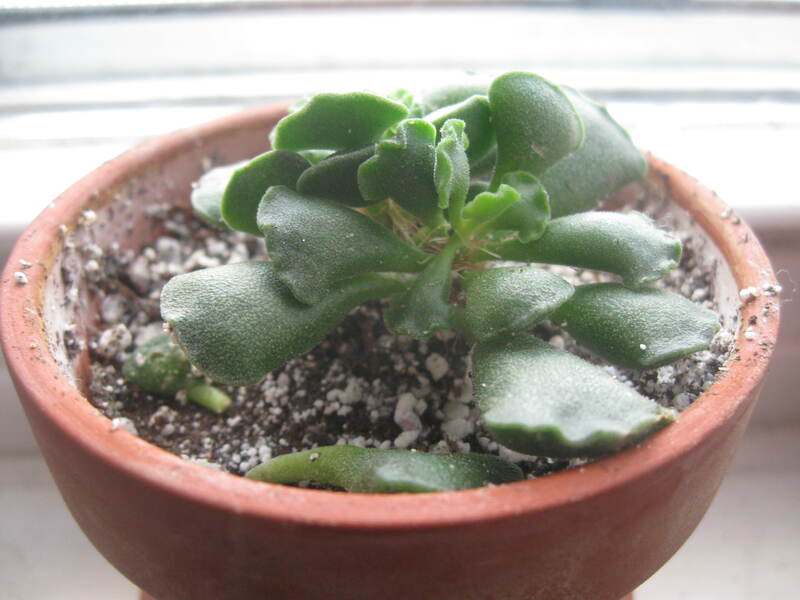 I’ve tried sticking the leaves into the soil as shown here or laying them on top of the soil — techniques that people have said work — and spritzing the soil so it stays moist, but none of them have managed to take root. They’ve all shriveled up and died. Decided to try again. This time I put plastic over the top of this pot to create a humid environment. Hopefully this will promote root development. Last year I started cultivating a garden oasis in my workspace, in order to make the environment more welcoming and relaxing. 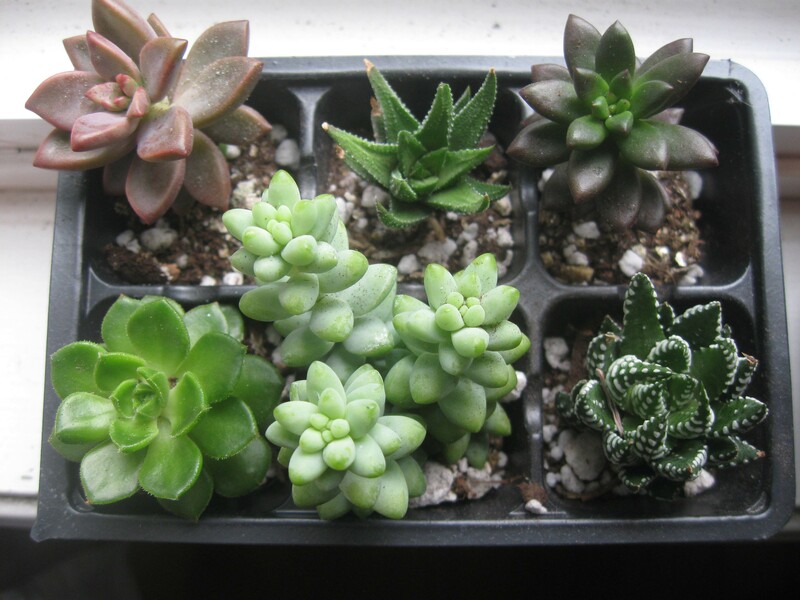 Thankfully the woman who shares my office space likes plants so she lets me bring plants into her work area (the window is behind her desk). 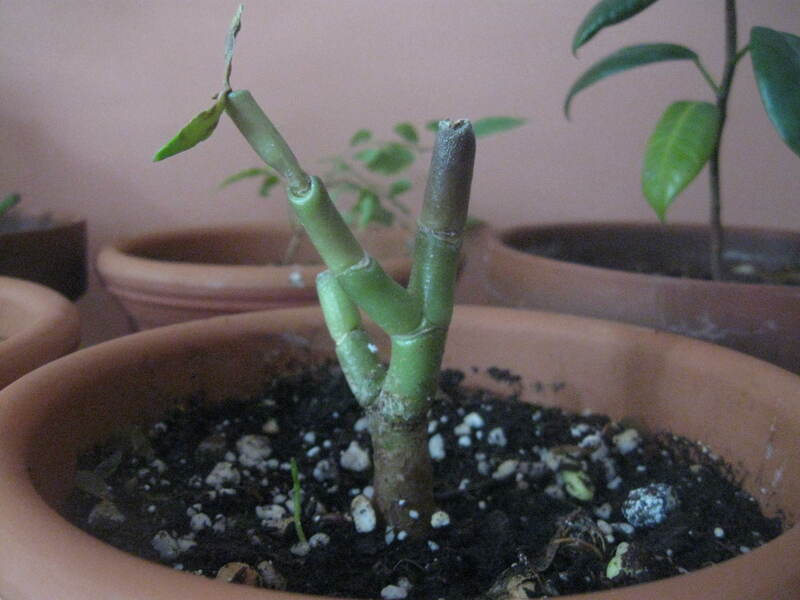 It started with me picking up some ficus elastica (rubber plant) cuttings from the office kitchen. I walked in one morning, and asked excitedly, “what is this? 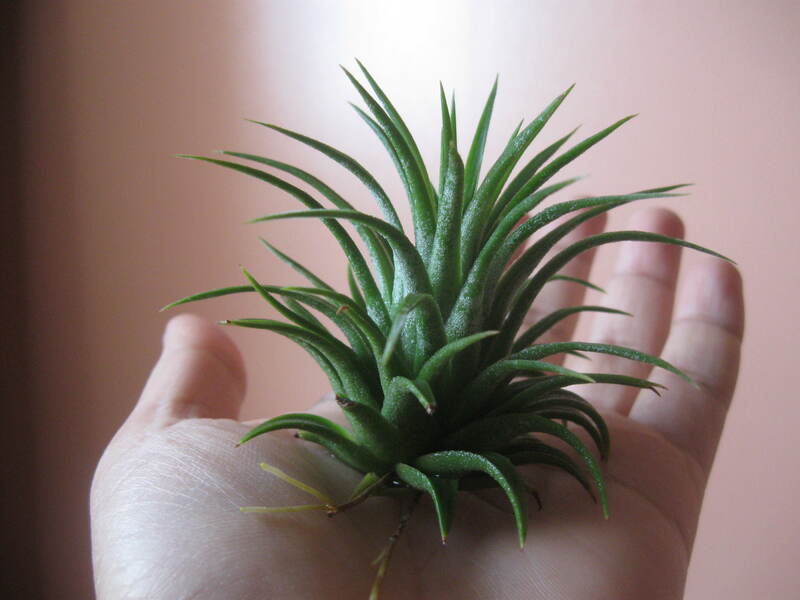 !” as I stared at some cuttings in a vase. 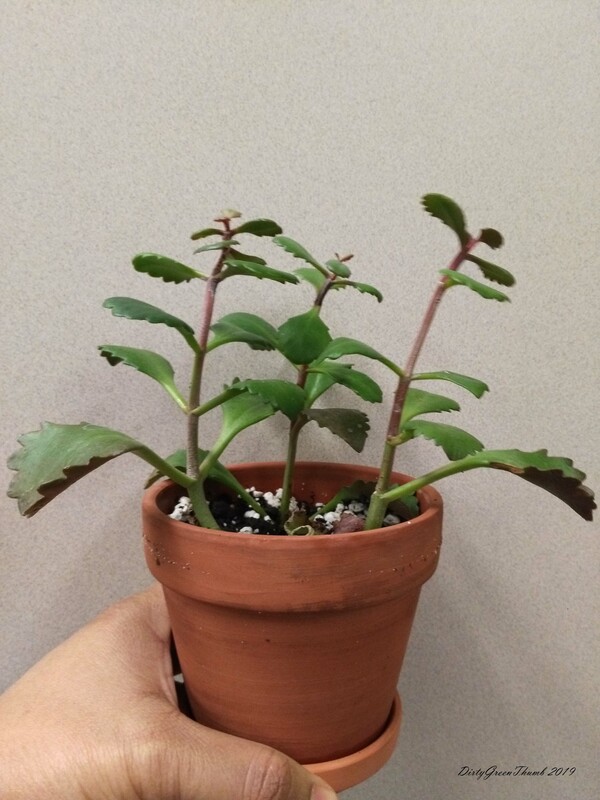 The HR person said it was a cutting from a plant in the president’s office. I exclaimed that it was beautiful and she said, “you can have it if you want.” I didn’t need to be told twice, I took it back to my office right away (score!). I ended up giving a cutting to a friend as a housewarming present (she loved it!) and the other to my aunt. I hope it does well. 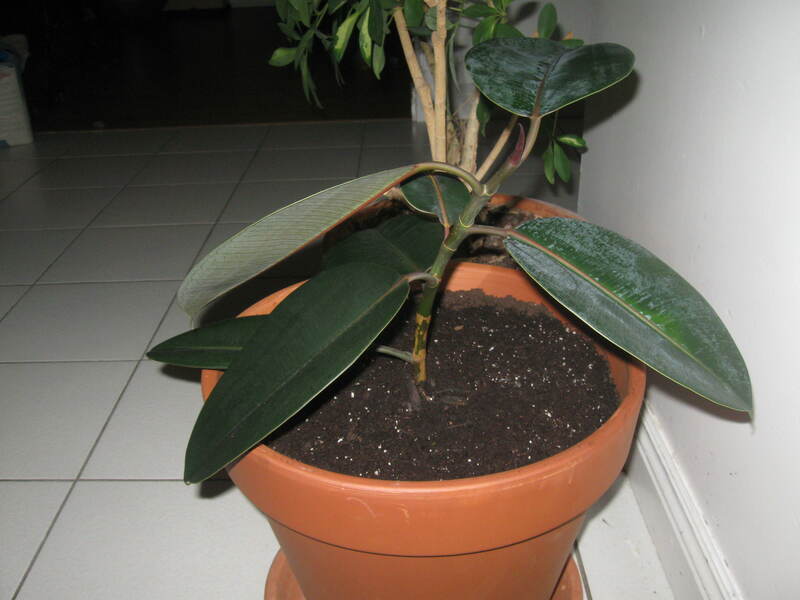 Love this rubber plant! Later in the year I picked up some other plants from outgoing colleagues. And picked up a money tree plant in a nearby convenience store (I’ve been coveting another colleague’s money tree for almost two years!). 5 aloe plants and one money tree (pachira aquatica). Tricolor rhoeo and thanksgiving cactus. 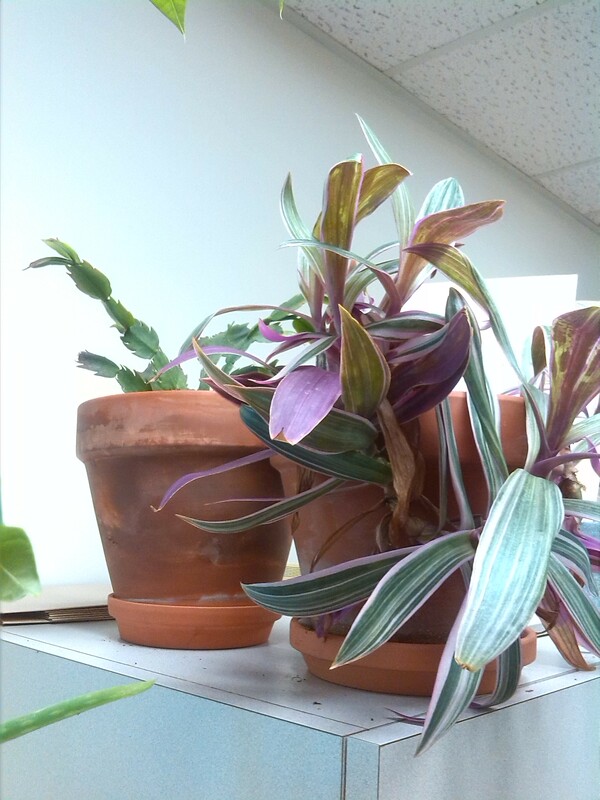 A colleague noticed that the tricolor rhoeo’s leaves are only purple on the back of the leaves (neat!). 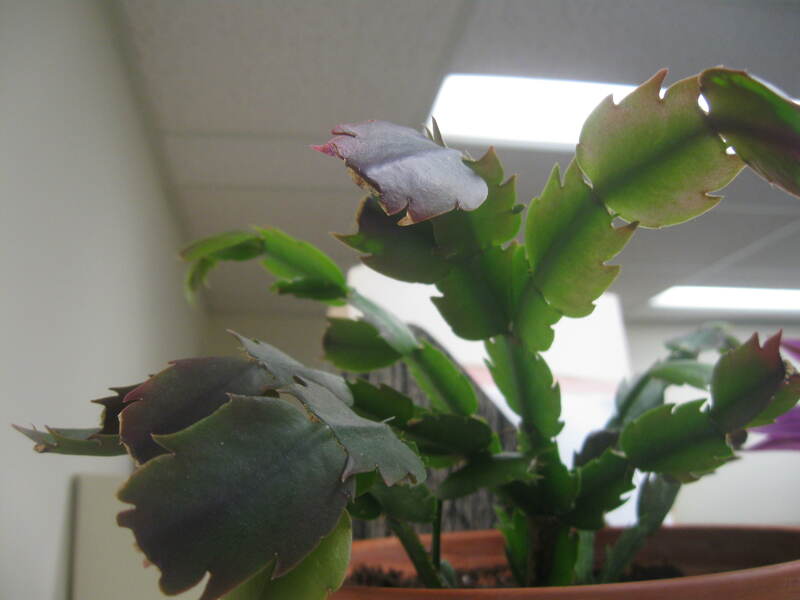 Thanksgiving cactus leaves (here) are sharper than a Christmas cactus. Wish I’d read myth #3 before I’d put my cactus away from the window. I had read that you need to give it more darkness in order for it to produce blooms. So I took it away from the window. Obviously I misunderstood the instructions and in the end I did some serious damage. 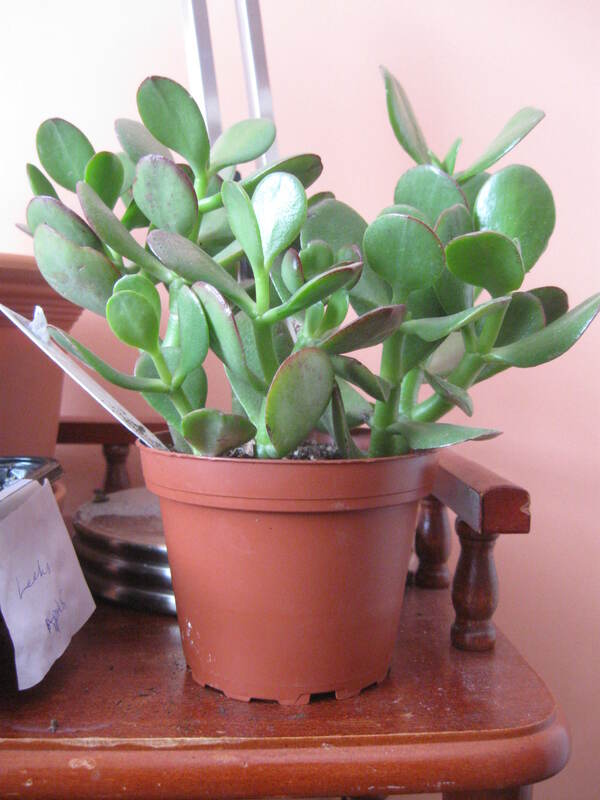 After several weeks of being deprived of the light it needed to thrive, the poor plant is looking pretty sickly. 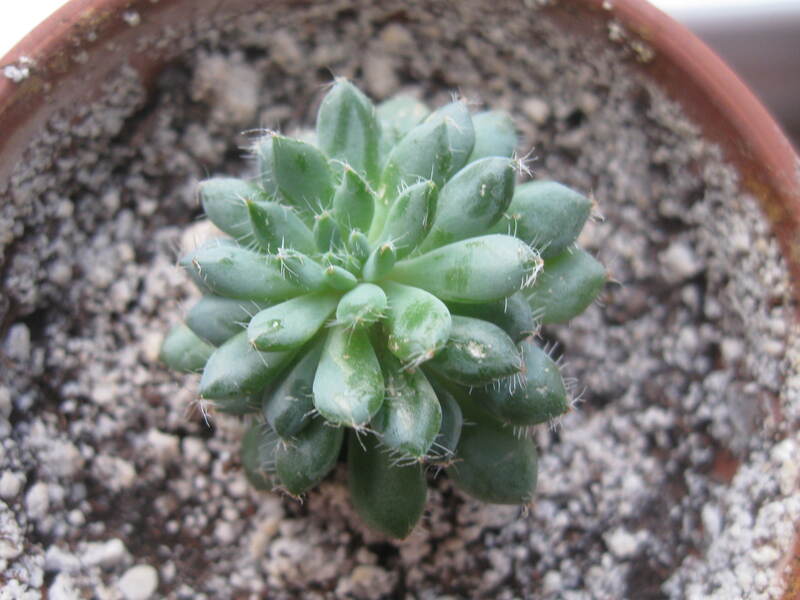 I really liked this plant. Not at first (at first I thought it was ugly, no wonder it was left behind), but then it started to grow on me. I’m hoping now that it’s back by the window that it might start to perk up again.